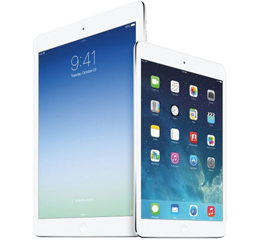 In this article, you will get to know why and how to rip Gone Girl movie DVD to iPad Air/mini. It was not of a stretch to claim that Gone Girl, a thriller and drama which stars Ben Affleck, Rosamund Pike and is directed by David Fincher, would be in the limelight when it hit the theatre in October. With the stats of more than one hundred million box-office earnings and a rating of 8.3 on IMDb (Internet Movie Database), it proves that I wasn't talking big. The plot can boil down to one sentence: with his wife's disappearance having become the focus of an intense media circus, a man sees the spotlight turned on him when it's suspected that he may not be innocent. Traditionally, going to cinema to watch Gone Girl is the first choice, where you can experience the film on colossal screen, in highest resolution and with electrifying sound effect. However, the time-limited schedule in theatre and low value of collection may not attract the less nostalgic office workers, who do not have enough leisure time for these extracurricular activities and might prefer watching movies during daily commute on their portable devices such as iPad. Gone Girl movie DVD has already been released since January 13, 2015. Outside of saving and killing time, ripping DVD of Gone Girl to iPad with the best DVD ripper for playback can also give you top-notch visual and sound enjoyment, with the latest iPad Air 2 sporting a A8X processor, 2GB RAM, A 9.7-inch Retina display with 2,048x1,536 pixel resolution and splendid stereo sound. How to Rip and Convert Gone Girl DVD to iPad? Rip/Convert Gone Girl DVD movie to iPad/4/3/2, iPad Air/2, iPad mini/2/3/4, iPad Pro so easy and fast. As one of the adage says: Every bean has its black, just because you have the Gone Girl DVD and an iPad doesn't mean you can beam the content of the DVD onto your iPad at will. The encryption implemented on DVD by film companies is updated in short interval, and the seemingly perfect iPad is lackluster in supports of video formats. A lot of DVD ripping softwares could not be of any help when facing the two factors mentioned above, with the exception of WinX DVD Ripper Platinum. 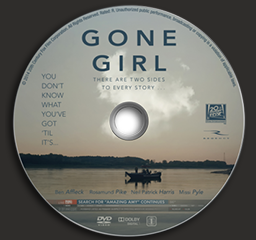 This Gone Girl movie DVD ripper provides breakthrough performance to access all DVD encryption technologies, including DVD CSS, region code, RCE, Sony ArccOS, UOPs, Disney X-project DRM. 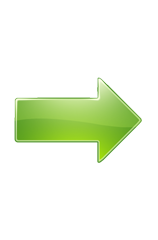 Besides, it is being continuously updated so as to handle all your DVD backup requirements for any new protected DVDs. It offers worry-free conversion of DVD to AVI (DivX/Xvid), MP4, MPEG, WMV, 3GP, MOV, FLV, DVD to WMP, iPhone 6(S)/Plus, iPad Air 2/mini 4 , and among other latest portable devices. Although WinX DVD Ripper Platinum is capable of decrypting and copying DVDs to any popular devices currently, we just take ripping DVD Gone Girl to Apple iPad Air 2 as a demonstration. Before that, please download the Gone Girl movie DVD ripper to get ready on your computer. If you have the disc, just insert it into DVD-ROM and click "DVD Disc". If not, you can add the movie through "ISO Image" or "Folder" loading. Click Apple Device -> to iPad Video -> iPad Air 2 (MPEG4) or iPad Air 2 (H264) if you want to watch Gone Girl full movie on iPad Air 2. Any output format can be chosen from the output formats and profiles listed. This software allows you to set the output folder according to where you want the converted movie file be saved on your hard drive. Then you can just tap RUN button and let it start. With simple clicks in the three steps, you can get your Gone Girl DVD converted to iPad Air friendly video without much quality loss. After syncing it to iPad via iTunes, you can watch Gone Girl movie on your iPad Air 2 anytime. Note: The software developer only advocates copying Gone Girl DVD for personal use and suggests referring to the DVD copyright laws in your countries before doing so. This is the most competitive DVD ripping software that supports ripping DVD Gone Girl, DVD Muppets Most Wanted, DVD How to Train Your Dragon 2, Transformers: Age of Extinction, X-Men: Days of Future Past, 22 Jump Street, Hercules and any other lately released DVDs. 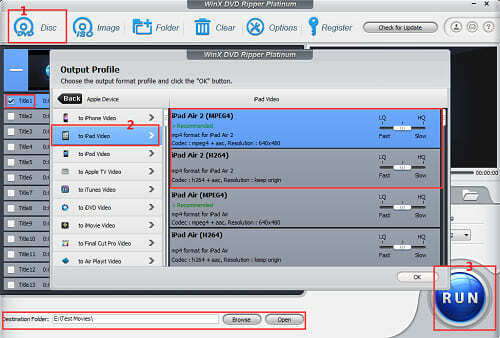 With it, you can complete converting DVD to AVI, MPEG 2/3/4, WMV, M2TS, FLV, iPhone, iPad, Android, WP8 and more! How to Rip New Horror Movie DVD to Android on Windows? How to Free Download YouTube Christmas Full Movies? How to Copy and Rip Warner Bros DVD Movie Collection? How to Backup DreamWorks DVD Movies Animation DVD?